Despite my LOVE of festive cheer, cocoa, and tinsel, I have to admit that some days I just want to pretend I am on a tropical island somewhere with my brown toes dipped in the sea! So as that is not going to happen in the next few weeks I thought we should bring some healthy, yummy tropical paradise to our days. 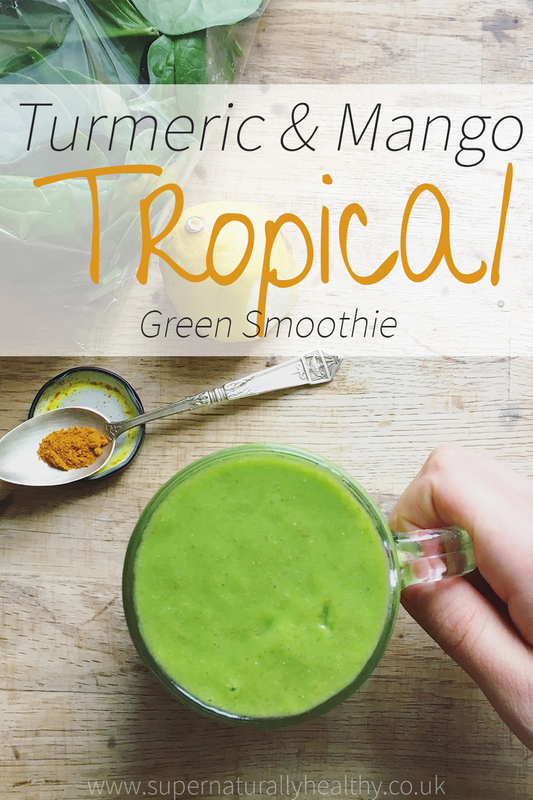 This particular green smoothie is a YUM combination of anti-inflammatory turmeric, mango, spinach, chia seeds (protein and omega 3 rich), lemon peel (great for your liver) and even some coconut water. Electrolytes are critical to maintain blood volume, heart health, and well as to prevent dehydration. Maintaining electrolyte levels can help reduce fatigue, stress, and help maintain muscle relaxation…. 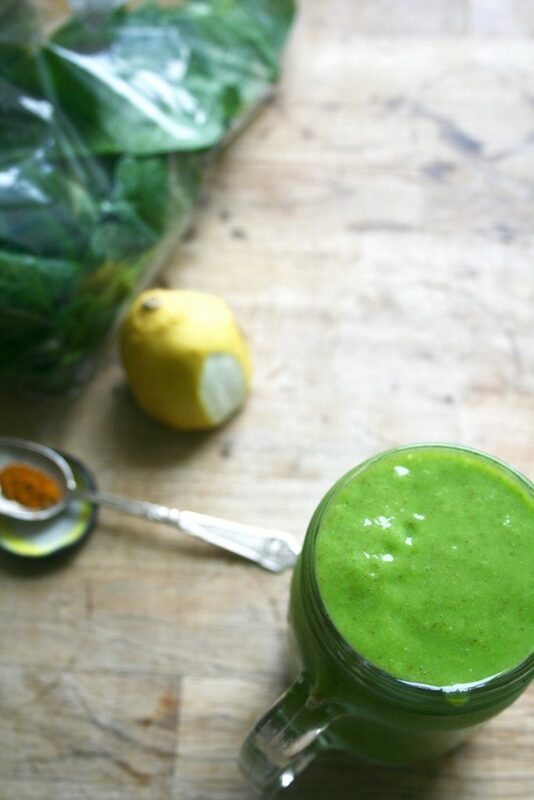 And if you want MORE green smoothie goodness then did you know that if you join my insanely popular 10-Day Green Smoothie Challenge you get my Eat & Be Merry Recipe eBook for FREE? This offer only runs until December 23rd so click here to find out more. Blend everything until smooth. Serve immediately. Feel free to omit cocnut water and just use all water. 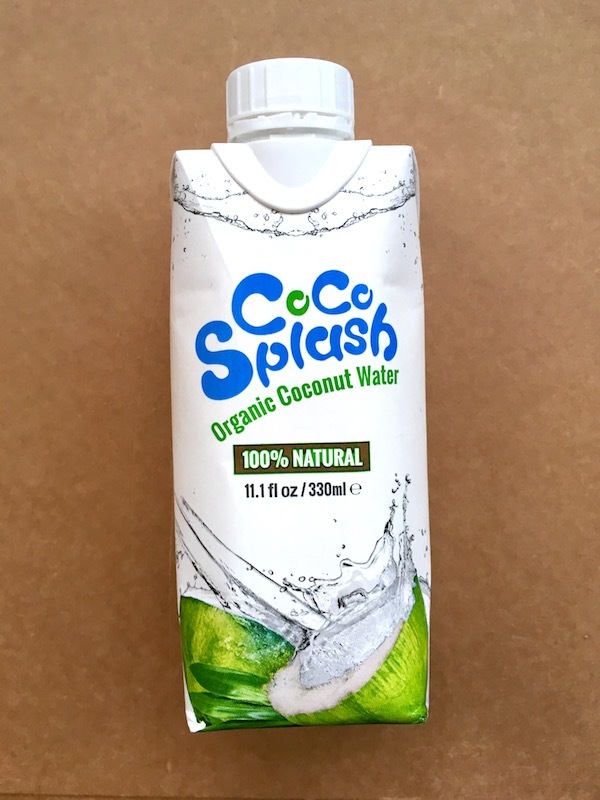 Get your hands on Dash Organics coconut oil and coconut water here! !